Kalia is a new opportunity for investors! And first time buyer opportunity in Waikiki! Work, play, and live a convenient lifestyle in this prime location just beyond the hustle and bustle. 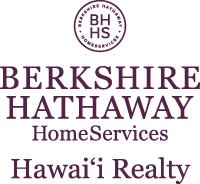 Proximity to Ala Moana Shopping Mall, famous beaches of Waikiki, nightlife and world class restaurants. Are you a student at UH Manoa, KCC, or HPU? This is a great alternative to campus living. Come home to an environment of well-maintained gardens, relax on your private lanai, chef it up on the BBQ, or take a dip in the heated pool. I am interested in 425 Ena Road UNIT 701C, Honolulu, HI 96815. Sign up for Inside AccessTM to view recent sales near 425 Ena Road UNIT 701C.